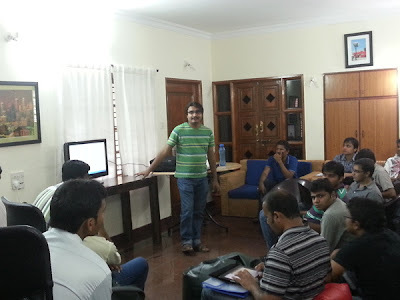 Force.com Bangalore User Group started their first meet in August with much fanfare. The first keynote was given by John Barnes, CTO, Model Metrics, a Salesforce.com company. He talked about Salesforce.com, platform and other updates from Salesforce. The group members promised to meet first Sunday of every month. A sunday spent on Namma Bengaluru taking about Force.com and having coffee together. The initiative was driven by Sunil Murthy, President of InfoToros and highly active member of the community. For the second meetup, keynote was given by Ankit Arora, or as some of you know him as Forceguru, in a new concept #hangoutWithMVP. Ankit connected with the Bangalore meetup group via Google Hangout from Jaipur. 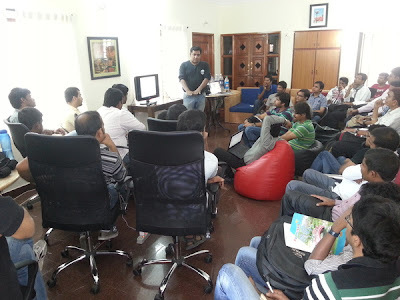 After two successful meetups, this Sunday Bangalore User Group met for the third time. 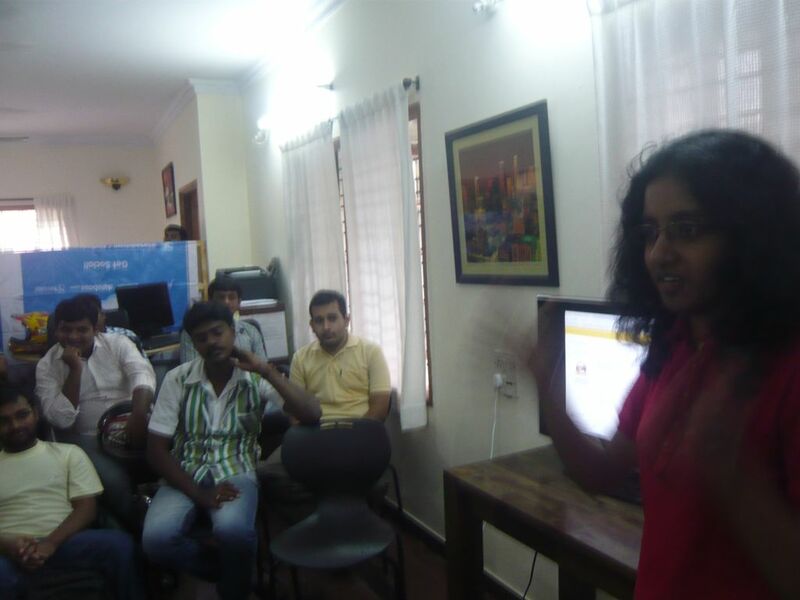 For this meetup we gathered on the premises of yourstory.in Media Pvt Ltd. in Bangalore. The main motto for the event was certifications. Surprisingly for this event we had many enthusiast who were looking to move into Salesforce tech. There were students who wanted to start development on Force.com platform. There were experienced working on other technologies that were interested in Force.com development. The first session was conducted by me on the basic certification tracks. We discussed the different certification options available for consultants, administration and developers. 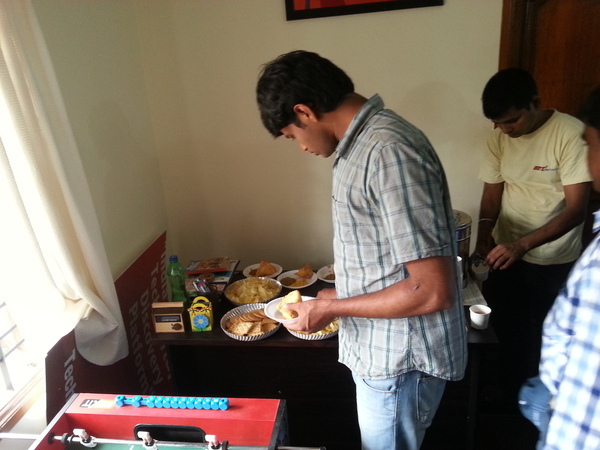 High-tea was served where we informal discussions on Salesforce, Certification and general networking followed. Varsha from YourStory.in explained their vision of helping startups, developers get the right visibility through their portals. The discussion on certification was continued by Manjunath Nimbal who took a deep technical drive in DEV 501 certifications. 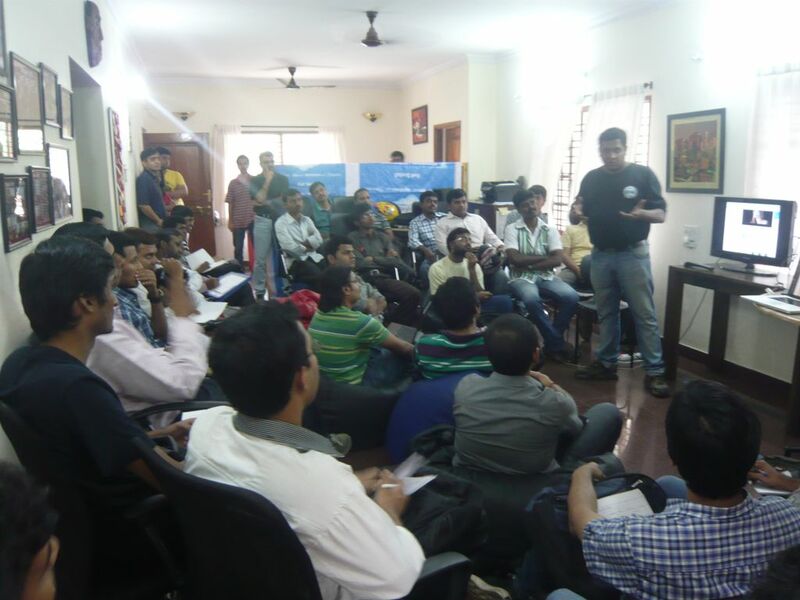 He also conducted this sessions cloud trivia in which participants got Salesforce goodies for answering questions. This Bangalore Developer meetup saw two new initiatives for developers that are starting on Force.com. We started a Certification Study Group that will meet once a month (or more depending on the participation) to help understand Salesforce.com. To join the study group, please join the discussion on the meetup page of Bangalore Force.com developer group. At the same time, this developer meetup Bangalorians initiated a Force.com Library for the members of the meetup. We will be sourcing and collecting books and notes from developers for the benefit of the users. Those who wish to borrow books from the library, they can borrow the book on the day of the meetup and will have to return at the next meetup. The meetup initiative was kicked off all over India by Kavindra Patel in the month of July and so far the momentum is tremendous. The meetup will happen again next month with more Force.com awesomeness. Do come to say hi. P.s. Expanding the scope of this blog beyond blogger. Do join the new Facebook page for Force.com updates. Yes yes, I know I am very late but better late than never. Luke me on Facebook.